The X-gateway's primary function is fast transfer of cyclic I/O data between the two networks. 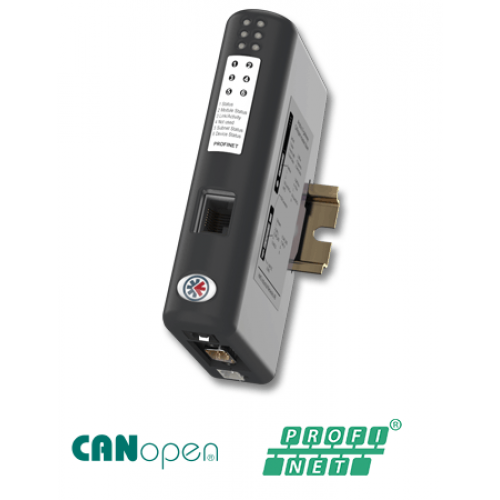 I/O data from the PROFINET network is written into CANopen objects that can be mapped into CANopen PDOs and vice versa. 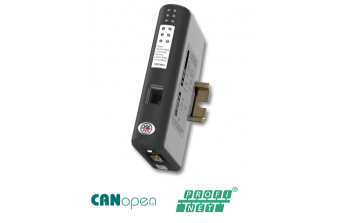 The gateway acts as a full Master/Manager on the CANopen network and as a Slave/Device on the PROFINET-IO network. The data transmission between the two networks is completely transparent with a maximum data capacity of 510 bytes in each direction.